Wt: 12.8 oz. 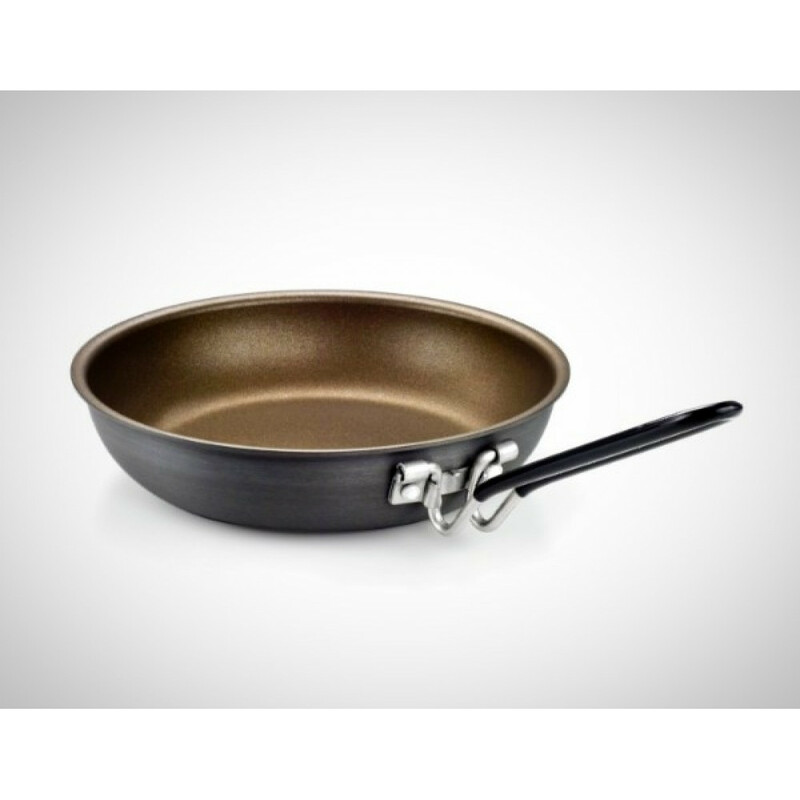 (8") Dimensions: 9.1" x 8.6" x 2.6"
CAUTION: Never heat to extreme temperatures or allow to boil dry. Pan intended for stovetop use only. Not for use with microwave ovens, conventional ovens or open campfires. 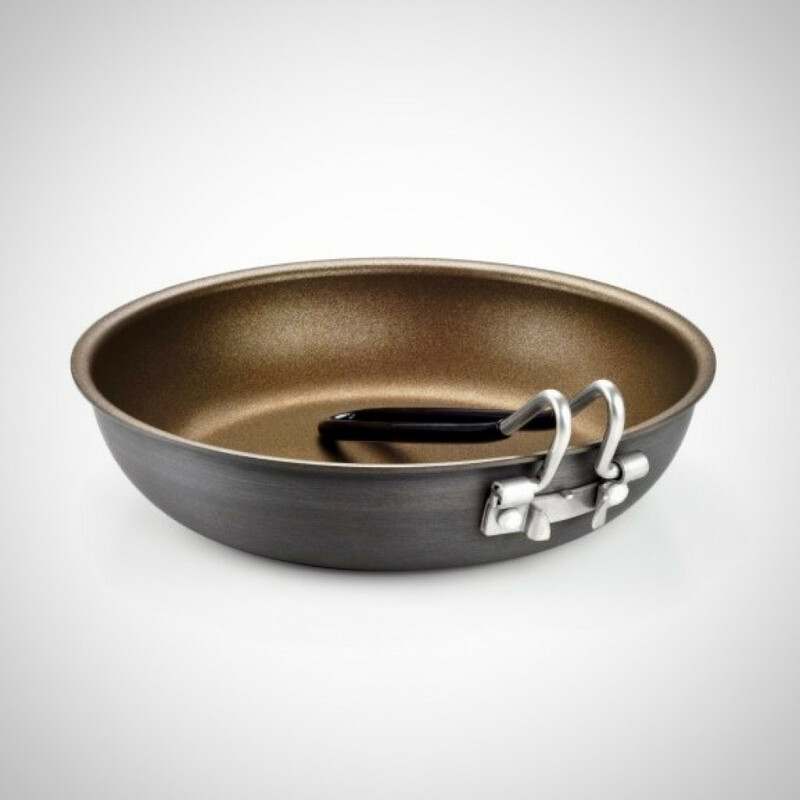 Pinnacle cookware is expressly approved for camp stove use. Not approved for in-home use. Handle may become hot when cooking. Always use caution when gripping handle. Never expose handle to direct flame.